Truck drivers and truck companies that act negligently must be held accountable for the damage they cause. At The Ferrara Law Firm, LLC, this is our focus. Our Cherry Hill law firm represents truck accident victims in personal injury lawsuits in courts throughout New Jersey and eastern Pennsylvania. Since 1972, we have been working diligently to protect the rights of accident victims. We have earned a record of success that includes multi-million dollar jury verdicts and settlements. We continue to build this record with every case we accept. Semi-trucks. Tractor trailers. 18 wheelers. Big rigs. No matter what you call them, they are massive vehicles that can cause a great deal of damage if the person operating them or the company maintaining them is negligent. We represent all victims of tractor trailer accidents, as well as victims of other commercial vehicle accidents. Our attorneys also handle commercial vehicle accidents of all types, including delivery truck accidents, delivery van accidents and accidents involving company cars. 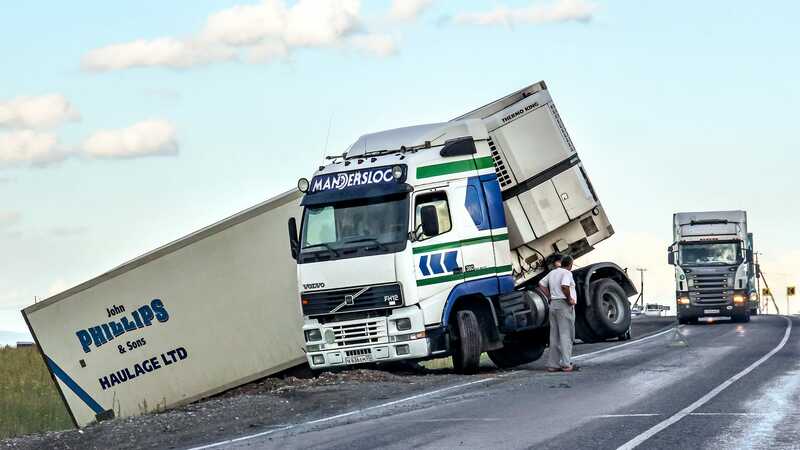 Commercial drivers are often in a hurry, and their haste can lead to negligence. That negligence can lead to serious collisions. These cases are unique. In most auto accident cases, we are going to take action against the negligent driver. In commercial vehicle accident cases, we may take action against the company that employed the driver or owned the vehicle. In some cases, it may be the company that is truly responsible. For example, if an accident was caused because the company did not properly maintain the vehicle, the company should be held accountable. Our lawyers represent people who have sustained a wide range of serious personal injuries in trucking accidents, including brain injury, back and neck injury, lost limbs, scarring and disfigurement. We also handle cases involving fatal truck accidents. Contact The Ferrara Law Firm, LLC, by completing our online contact form, or by calling us at 856-324-6156 or toll free at 888-874-8317. Hablamos español.